A historic, cultural and artistic heritage which needs to be preserved. 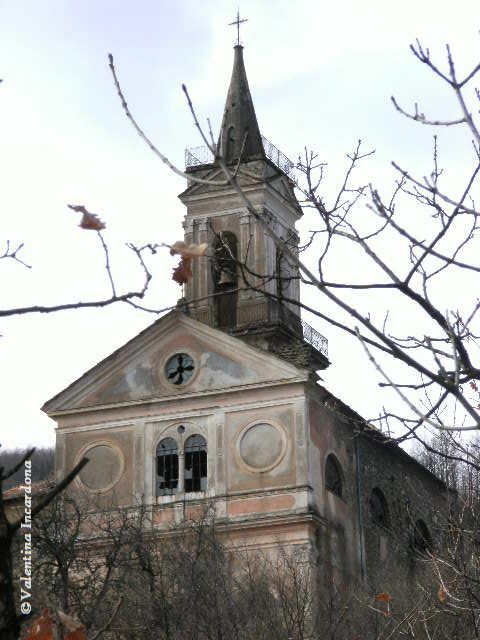 San Rufino’s Church is located in Cerendero, in the municipality of Mongiardino Ligure (AL), and is under the ecclesiastical jurisdiction of the Genoa Archdiocese. The oldest recorded document known to date about the Church is a deed that is dated the 25th of November 1248. However, it is likely that the Church was built long before the aforementioned date, as records indicate that Cerendo has existed since 947. Between 1248 and 1475, the Church was documented as a place where souls were cured and it was named after San Rufino Confessor, a hermit and abbot who lived during the 6th century. His cult is proof of the subalpine monasticism that was practiced before the rule of Saint Benedict and the influence of the nearby Columbanus Monastery of Bobbio that was imposed at a local level. At the request of the Marquises Crosa of Vergnani of Genoa, the original structure of the Church was rebuilt during the 15th century by the local villagers. In 1475, the high priest agreed to annex the Church to the Romanesque Parish of Mongiardino, at the request of the Spinola family, and the two remained united until 1647. On the 22nd of August 1647, San Rufino’s Church became a parish on behalf of Cardinal Durazzo. It was first governed by the Discalced Carmelites and by the secular clergy thereafter. The first high priest of the Church was Don Tomaso Morando from Tortona. Between the 17th and 19th century, the confraternities of N.S. del Carmelo and SS. Sacramento also practiced in San Rufino’s Church. The parish archives, recorded since 1611, provide information about the restoration and the decors of the Church between 1722 and 1744. In 1872, the parish was devoted to the Sacred Heart of Jesus. The current building was reconstructed thanks to Don Agostino Tambutto and the active contributions made by the parishioners. The first stone was laid on the 26th June 1898. The new temple, blessed and opened for practice on 17th July 1904, was named after San Rufino Confessor and the Madonna del Monte Carmelo (Virgin Mary del Monte Carmelo). With the decree dated 23rd August 1947, the Archbishop Giuseppe Siri raised the Church to the rank of Provost. The construction of the new Church was based on a project by the engineer, Luigi Balbi of Genoa, and was built by the building contractor, Giovanni Battista Maffeo of Arezzo. An impressive and striking architectural task was accomplished, despite the lack of financial and technical means at their disposition. The only nave, which measures 14 x 30 metres, reaches 14 metres in height internally. The construction of the new Bell Tower began on 5th of July 1901 and was finished a few years afterwards. Its splendid features are almost still intact to this date. An ample Rectory was added to the 40 metre high Bell Tower that was built in 1906, which consisted of 19 rooms across three floors .All the walls are made of locally obtained stone. The villagers provided the required material for the construction of the Church and also volunteered to help in the construction and decoration of the building in their spare time. During the Second World War, some members of the Levi family of Genoa (a Jewish family), were sheltered at the Rectory in Cerendero. A member of the family painted a remarkable pastel colour picture of the Church, which shows the majestic solemnity of the building and the luxuriance of its land. The picture is dated 1944 and signed with the initials C.G. During that period, the Rectory saw several partisans, Jewish refugees, Germans, Fascists, ex-Soviet prisoners, the so called “Mongols” of the Turkestan Division, come and go. All were warmly welcomed if possible, sometimes simultaneously and unaware of one another. In 1945, just after the Liberation, sixty partisans were hidden in the stables opposite the Church, which was used for the storage of arms and munitions. The traditional expressions of the popular religion enclosed the ethical and life values of several generations of farmers, who were profoundly attached to their hometowns. Among the numerous traditional festivities celebrated in Cerendero, the most important were that of San Rufino and that of N.S. Del Monte Carmelo (Virgin Mary Del Monte Carmelo). The latter is still celebrated to this day in a small oratory parish, on the third Sunday of July. The Church was deconsecrated in 1979, as it was deemed unfit for purpose for security reasons, on the basis that the land upon which it was built was not safe. At that time it was rumoured that the Church was subject to an imminent collapse (though it was probably a mere concern, which in addition, was not based upon technical findings). However, this common belief was proved wrong by the fact that the building is still standing to this date, though it is considerably damaged as a result of the lack of upkeep and by weathering and erosion. From 2011 the building is included in the list of heritage properties safeguarded by the law D. Lgs. 22/01/2004 “Codice dei Beni culturali e del Paesaggio” Soprintendenza per i Beni Architettonici e Paesaggistici per le Province di Novara, Alessandria e Verbano-Cusio-Ossola. Prot. 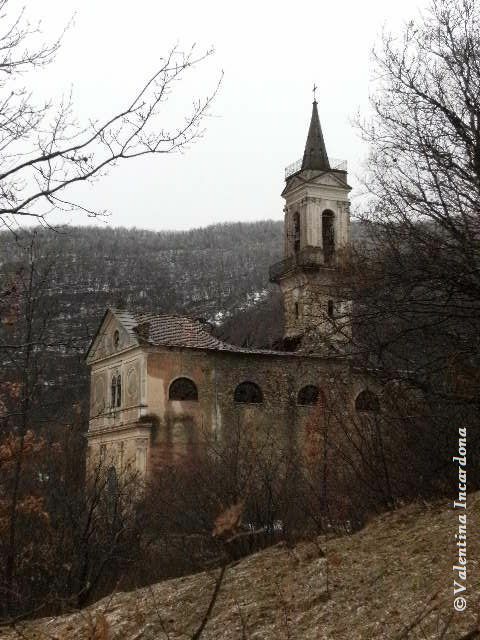 n. 1809/NO - Cultural and Natural Heritage Regulations – Superintendence for Architectural and Environmental Heritage in the provinces of Novara, Alessandria and Verbano-Cusio-Ossola Prot. n. 1809/NO).